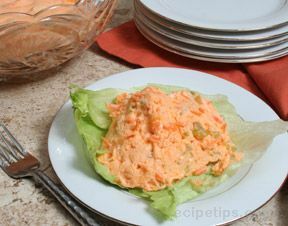 A delicious jello salad that will impress all your guests. 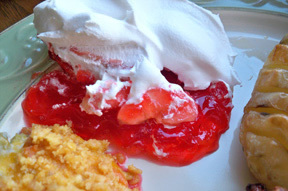 The sour cream layer offsets the sweet fruit and jello perfectly. Mix jello per package directions. Stir in frozen berries, pineapple and bananas. 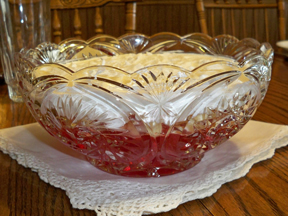 Pour half the jello mixture in serving bowl. Chill until setup. 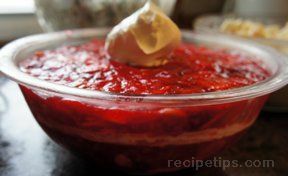 Top with sour cream and pour remaining jello mixture to top. Refrigerate for several hours. "I make this for Thanksgiving every year. The grandkids love it."